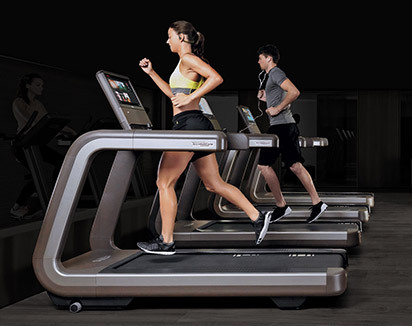 MYRUN TECHNOGYM – Treadmill running the way it’s meant to be! Music and movement are intrinsically linked. We enjoy moving and we enjoy rhythmic sounds, so when they come together there is a double whammy of stimulus to the pleasure centres in the brain. Music has the effect of altering both mood and the tempo of movement. 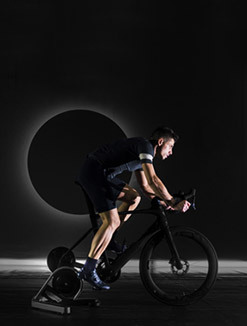 For example, just as you were reaching the last climb in your high-intensity interval training programme, what if a mellow blues number comes on? The relaxing tones start to calm you down and make you feel more relaxed. Subconsciously you slow down and your drive to climb that hill doesn’t seem to matter much any more. You end up losing the desire to push yourself through to the finish. Whilst this might sound like an extreme example, there is a growing body of evidence that suggests the more motivational the song then the harder you are able to work out. Picture then, a music player that has the ability to match your music with the effort required to get the maximum benefit from your workout routine. One that synchronised with every foot fall as if your feet pounding the floor were indeed striking the instrument that was producing the sound. 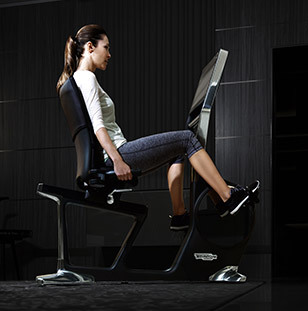 Step forward Reddot award winner 2015, MYRUN TECHNOGYM with Running Music. 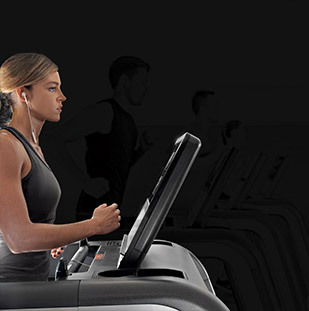 This great feature helps you run to the beat – it is the first music interactive treadmill ever. Gone are the days of a single playlist being continually looped and the slow ballad just when you needed "all the single ladies to put a ring on it!" Indeed, you don’t ever have to create a playlist again. Running Music does it all for you. 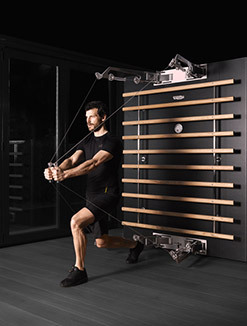 One of the many advanced features offered by the MYRUN TECHNOGYM. 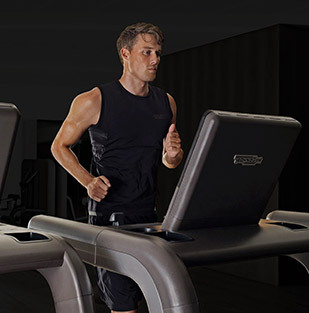 Not only does the intelligent treadmill give your motivation a big boost through some pumping tunes, but it will also help you improve your run. 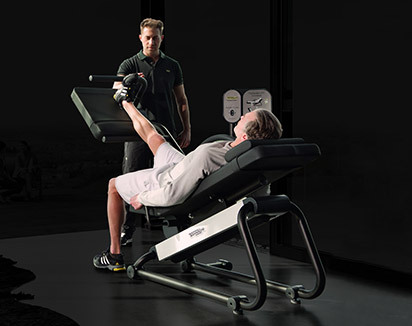 Another distinctive feature is the biofeedback system, which enables the user to monitor the relationships between a range of parameters. 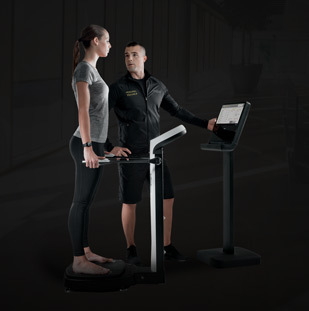 In addition to the usual heart rate and calories burned, MYRUN TECHNOGYM also monitors cadence, stride length, vertical displacement and running efficiency, which are fundamental to running technique and injury prevention. Stride Length – how far apart your feet are as you run. 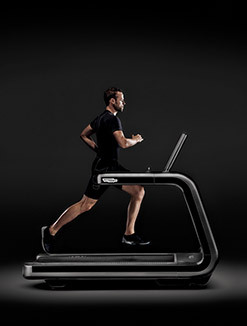 The data collected is calculated in real time to provide the runner with immediate feedback on their running style. 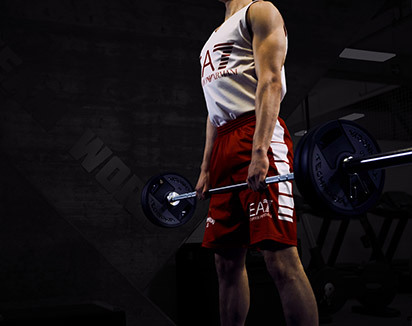 The algorithm compares data from individuals with the same height and running speed of the user. 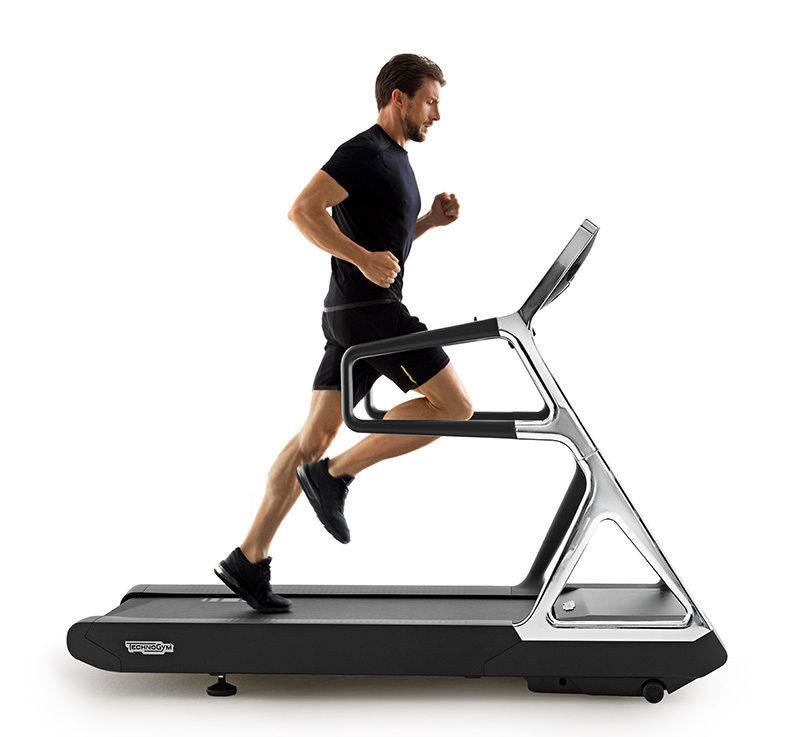 This enables the user to ascertain if they are running too slowly or their strides are too short or too long for optimum performance. 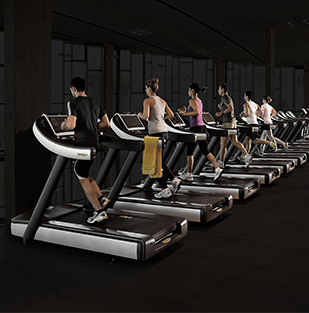 The information on speed and cadence is also presented in terms of the Technogym’s running rate index. The index is a single numeric value displayed on the app that changes according to your running performance and style so you can easily see your progress. 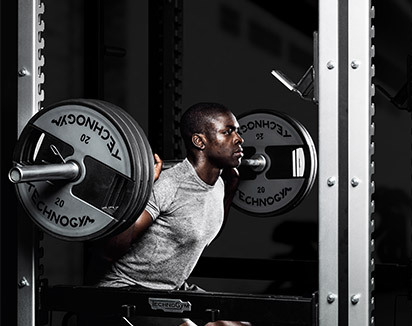 As well as biofeedback the app (which is available from both the App Store and Google Play) enables users to define their training goals, design bespoke workouts and track their progress. There are options to set goal driven training programs, do a program of interval training or train based on a target heart rate. Once you have set up your running program, this is automatically scheduled in the integrated calendar that shows when you are training and what you are training for at any given period; i.e., speed enhancement, building capacity or adaptation to distance. The app also contains more than 3 hours of video lessons in convenient 10-minute workouts for beginners and more advanced runners. 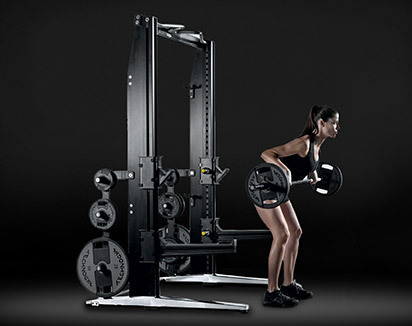 The sessions are delivered by two of Technogym’s celebrity personal trainers, Aniko Gog and Tim Benjamin. 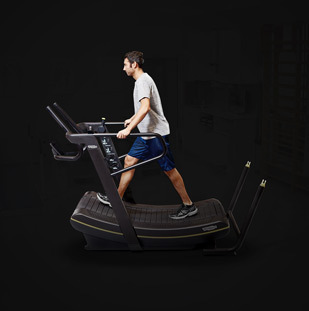 The MYRUN TECHNOGYM treadmill offers the runner so much more than protection from incandescent whether. 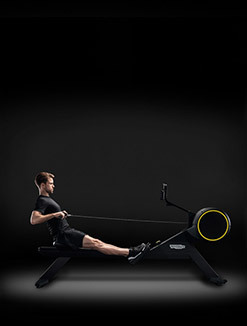 Designed for runners by runners, it creates a unique running experience that allows the user to personalise every aspect of their training programme. 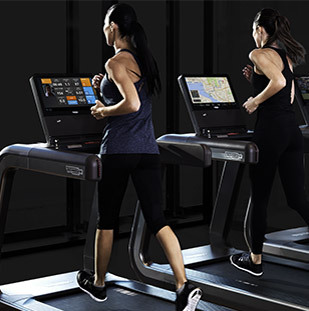 Moreover, the technical interface provided by MYRUN TECHNOGYM via a tablet and its app is the first solution for runners that is easy to use and actually permanently improves the way they run and walk. 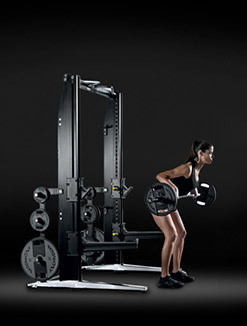 In keeping with all Technogym equipment, MYRUN TECHNOGYM boasts design elegance. Made from high quality state of the art materials that are eco-efficient, it has an energy consumption of less than 0.5 W, plus unique energy saving features such as a proximity sensor that only turns on the machine when it is approached by the user. Designed for complete ease of use and set up out of the box, the click lock assembly means it is ready to use in just five minutes.